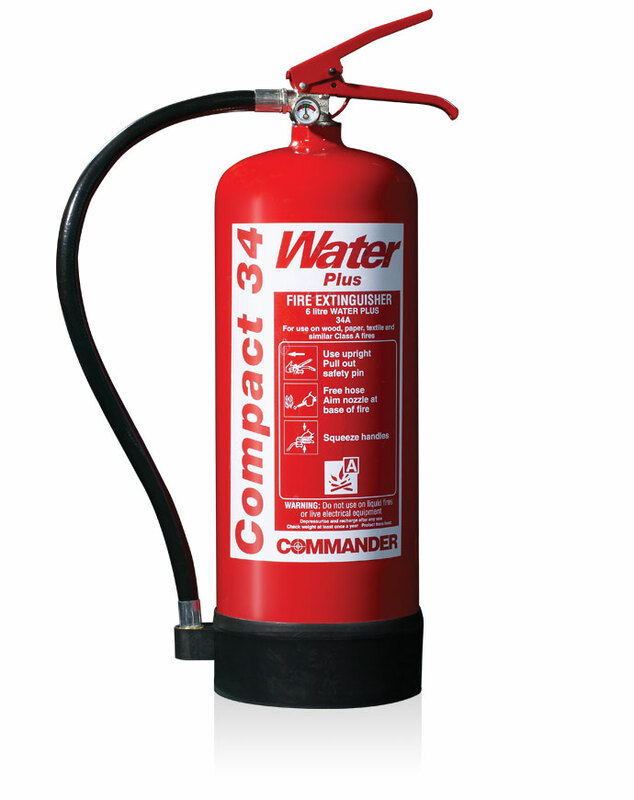 You wouldn’t assume such a stunning finish could be given to a practical piece of equipment but the mandatory fire extinguisher has been given a makeover. 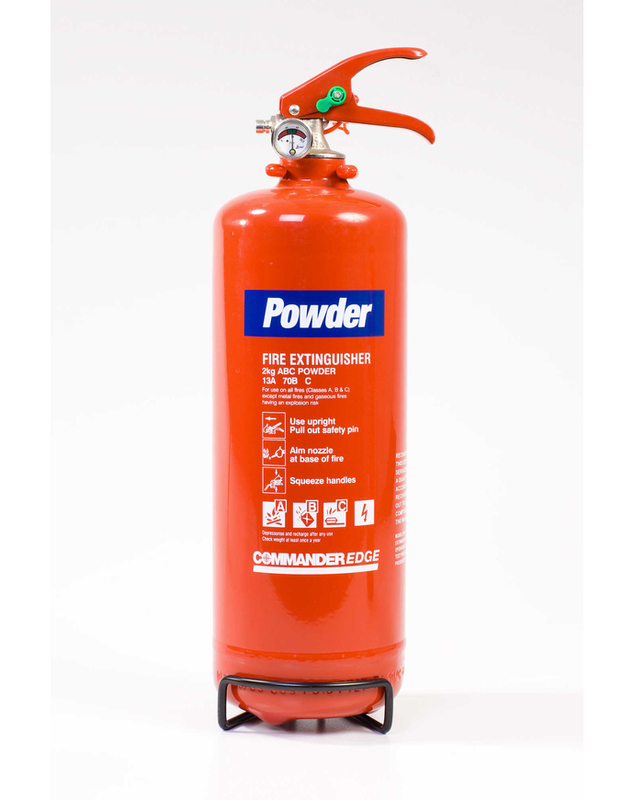 This six-litre foam fire extinguisher is ideal for premises that may be at risk from Class B and C fires (flammable liquids and gases). It has a 13A 113B fire rating and its stunning gold looks are only added to with matching polished gold tubular stands and ID signs for a complete aesthetic. 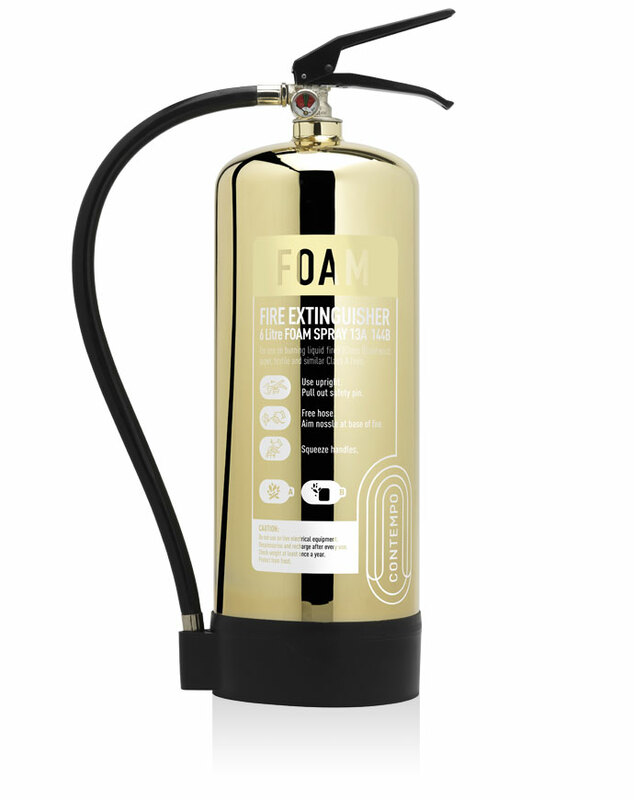 Not a common association, but we have never believed the two should be mutually exclusive… This combines fire safety with the most exquisite hand finish. 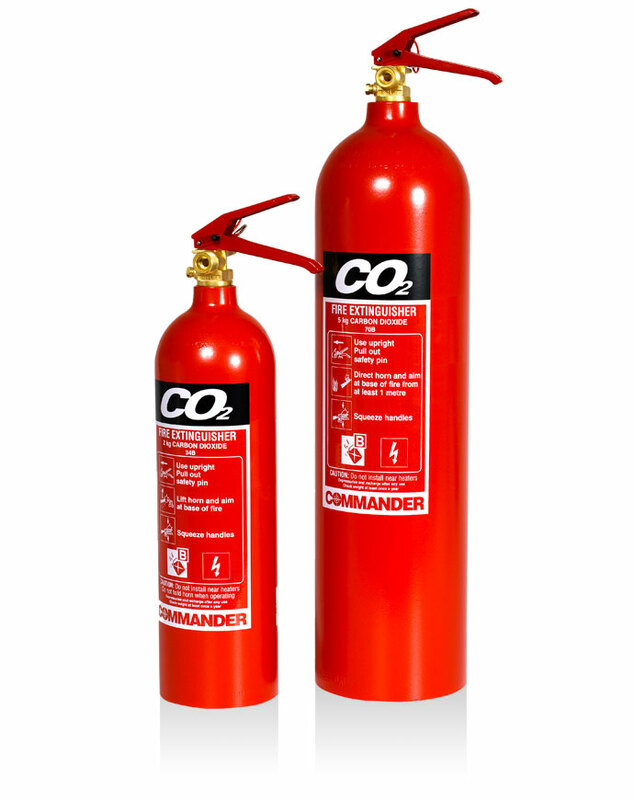 Mandatory fire equipment can now compliment the very finest of interior and even be a feature. This is Contempo by Commander. Why settle for less? Truly an industry-first, these cans have been hand-finished. Each one unique in it’s beauty. 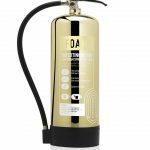 Perfect for modern bars and restaurants, luxury hotels, contemporary offices and much more, this is fire safety equipment you actually want on show! With matching brushed antique copper tubular stands and ID signs, this range is truly Elegance in Fire Defence.